You try to lift a few shades off of your hair, expecting a nice shade of blonde, but end up with a brassy orange instead. While orange hair is not the worst color on the palette, it can be extremely disappointing to end up with it after a bleaching session, especially when it turns out to be uneven and patchy. This has happened to more than a few of us, and it’s one of the most frustrating things on the planet. In the end, you are forced to make a trip to the hairdressers to fix the orange. Fixing orange hair really does not have to be so hard. Ending up with orange hair is not at all uncommon. 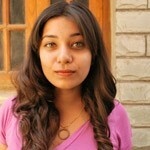 In fact, if you try to bleach very dark hair, the chances are that 8 out of 10 times you will end up with brassy hair. However, you should know that there is a way you can get rid of your orange hair color yourself. Below you will find out how to fix orange hair after bleaching and the five different ways to go about doing it. Before we get into the nitty-gritty details on how to fix brassy hair, let’s first talk about why your hair turns orange in the first place. Why Does Hair Turn Orange? While bleach does lighten your hair, it doesn’t get rid of the natural pigment that gives your hair its color. All brunettes have orange and red undertones to their hair, which is the residual color you get after you bleach it. 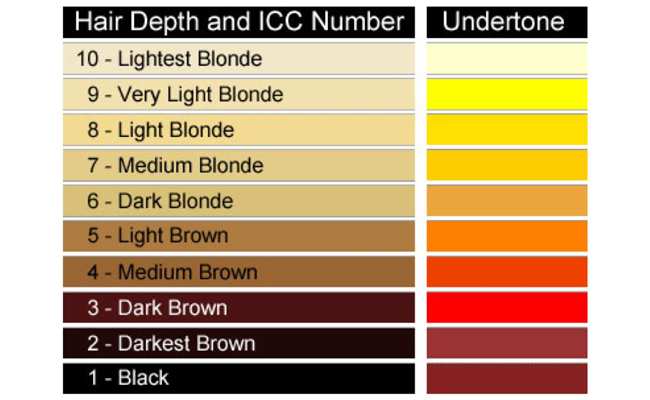 This chart shows the underlying pigment that each shade of hair color has, and what color you will most likely end up with after bleaching on the right side. As you can see, people with dark hair have the most orange tones in their hair, making them more prone to end up with orange hair after a lightening session. Another reason for getting orange hair is the buildup of minerals in your hair. If you have light hair, it is likely to take up yellow and orange tones with the use of products that contain sulfates. There are a number of ways to fix orange hair but the basic logic behind fixing it is to neutralize the color. 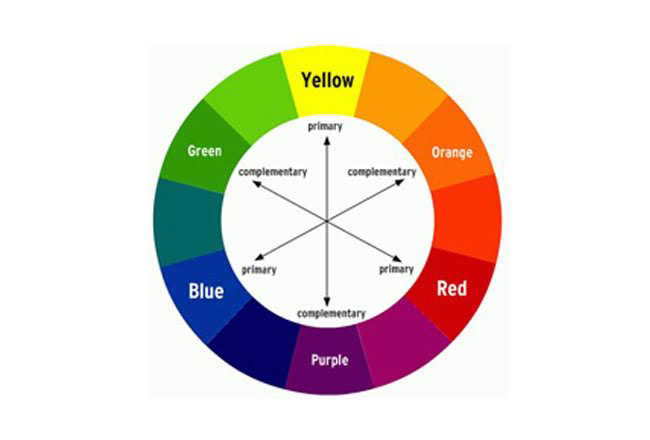 If you look at the color wheel below, you will notice that different shades of blue counteract the different shades of orange and neutralize them. This is why most toning shampoos contain blue or purple pigments to remove orange and yellow tones. How To Fix Orange Hair With Toner? A toner helps remove the brassy orange and yellow tones from your hair to neutralize them and give you a cool toned hair color. You can use it in combination with a peroxide right after you bleach your hair. You might have to tone your hair more than once to get desired results. If your hair has more yellow tones than orange ones, use a purple toning shampoo or a toner such as Wella Colorcharm T18. If you have more orange tones than yellow, you will have to use a blue toning shampoo over a couple of weeks to neutralize the orange. As seen in the color chart, using the opposite color to neutralize your hair is the best way to tone it. You will need a good toner for your hair, an applicator brush, a plastic bowl, and a volume 10 or 20 developer to mix it with. Mix the toner and peroxide in a 1:2 ratio. With the applicator brush, start applying the toner and developer mixture to your hair. Once all of the orange bits are covered, leave the toner in your hair for not more than 45 minutes. Rinse with a toning shampoo, or a sulfate-free shampoo. How To Fix Orange Hair With Box Dye? If your hair has gone patchy with bits of blonde and orange, the problem was probably the fact that you didn’t use enough dye or bleach. The solution to this is to re-do your hair, and this time get a friend to help you out. Section your hair and make sure that the dye/bleach is evenly applied. Follow the steps below to fix your orange hair with box dye. Get sufficient dye to cover your entire hair. Part your hair into thin sections that are easy to cover. Get a friend to help you with the application to ensure even coverage. Let the dye sit for the recommended amount of time. Finish with shampooing and conditioning. How To Fix Orange Hair To Light Brown? Using a medium ash blonde hair dye is another good way to tone down the orange hair to a cool light brown shade. Using an ash blonde dye on darker orange hair will neutralize the orange while not lightening your hair too much, leaving you with a nice light brown shade. Buy a lighter ash blonde color than the one that gave you your orange hair. Apply it evenly, following all the instructions. Let it sit for the recommended amount of time and then wash off with shampoo. Condition your hair. How To Fix Orange Hair To Blonde? The best way to go from orange hair to blonde is to re-bleach your hair after two weeks to come down to yellow tones that are easier to neutralize. Once you reach some yellow tones, you can leave your hair like that, if you are happy with the color. You can also use an ash blonde box dye to neutralize and lighten your hair color. Buy a good bleaching powder, a 30 vol developer, and a platinum or ash blonde box hair dye. Combine the bleach and developer in a 1:2 ratio in a plastic bowl. Wash your hair and wait for at least two days before applying the box dye. Follow the instructions on the box dye to neutralize the yellow tones in your hair. How To Fix Orange Hair Naturally At Home? For this method, you will need 2 tablespoons of apple cider vinegar, 1 ounce of hollyhock herbs, and 1 cup of water. You can use an apple cider vinegar rinse to tone your hair. For this, you will need a few drops of blue or purple liquid food color, 2 tablespoons of apple cider vinegar, 2-3 tablespoons of coconut oil, and 1 cup of water. If you were wondering how to fix orange hair at home, these were all the ways. Add some blue or purple food coloring to your sulfate-free shampoo and conditioner to create your own toning shampoos that will minimize orange build up. Flaunt your gorgeous brass-free hair after trying out these toning methods. Do you have any of your own toning secrets? Let us know in the comments section below. If you are a brunette beauty trying to cover up the brassy tones in your hair, a blue shampoo is your best bet. Check out this list of the 10 best blue shampoos for brunettes. 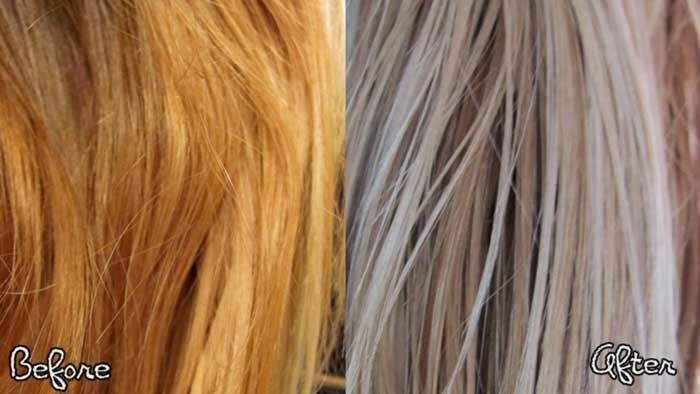 Are there brassy tones in your hair after bleaching or coloring it blonde? If so, you need to use a hair toner to fix this problem. A hair toner is a miraculous solution that neutralizes the red, orange, and yellow tones in your bleached hair.